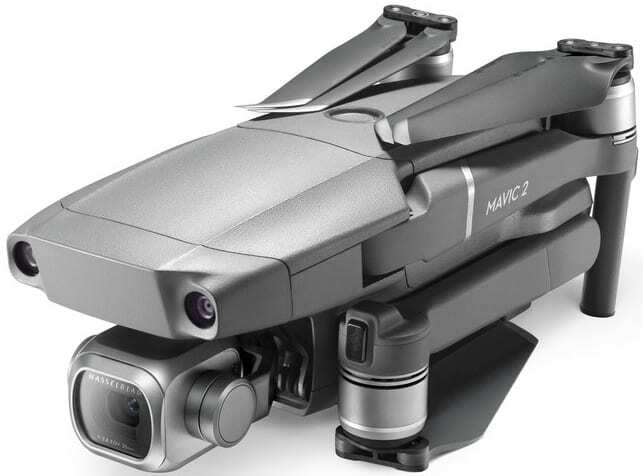 DJI unveiled today the new Mavic 2 Pro. 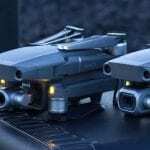 Mavic 2 Pro is the world’s first drone with an integrated Hasselblad camera. The Mavic 2 is the most advanced DJI camera drone ever built, designed for professionals, aerial photographers and content creators. Incorporating the iconic folding design of the world’s most popular Mavic Pro, the Mavic 2 is a powerful platform with new gimbal-stabilized cameras and advanced intelligent features like Hyperlapse and ActiveTrack for easier and more dynamic storytelling. With an impressive flight time of up to 31 minutes and a more stable video transmission system, Mavic 2 delivers the optimal flight experience for capturing epic shots. Co-engineered in partnership with Hasselblad, the world’s leader in medium format photography, the Mavic 2 Pro is the world’s first drone with an integrated Hasselblad camera for outstanding image quality with superior light and color performance. Housing a 1-inch CMOS sensor with a 10-bit Dlog-M color profile, the camera captures four times as many levels of color per channel compared to Mavic Pro to provide maximum flexibility for photo and video editing. The Mavic 2 Pro can capture 20-megapixel aerial shots with utmost color accuracy using Hasselblad’s unique Hasselblad Natural Color Solution (HNCS) technology, while an adjustable aperture from f/2.8-f/11 provides more control across a wide variety of lighting conditions. With 4K 10-bit HDR support, the Mavic 2 Pro can be plugged into a 4K TV with HLG and will play back footage with the right color tones. Free – pilots the drone manually while shooting a Hyperlapse video. Circle – automatically flies the drone in a circular pattern around a subject you select to create a timelapse video that captures the action. Course Lock – keeps the camera fixed on shooting subject while the drone flies in a straight direction to create a unique perspective. Waypoint – plans a complex flight path based on both altitude and GPS coordinates to capture complex shots. Keeping a moving subject in the frame is now easier than ever with ActiveTrack 2.0. This enhanced auto-track feature delivers a powerful combination of autonomous tracking and obstacle sensing capabilities never before seen in a DJI drone. 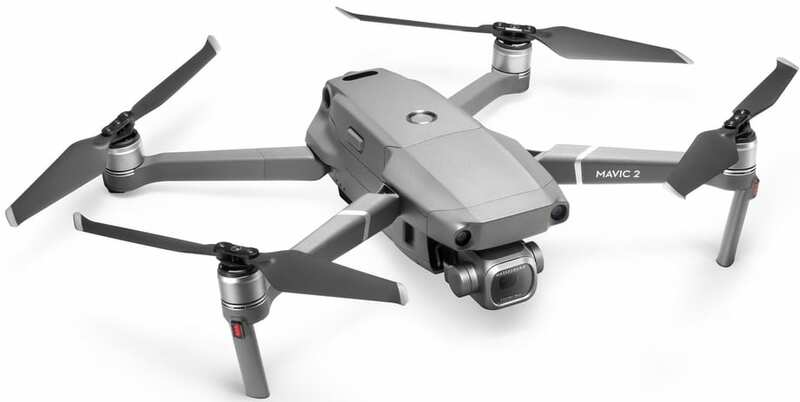 Using the main camera and the front dual vision cameras, the Mavic 2 creates a three-dimensional map of the area in front of it and uses new trajectory algorithms to analyze motion and predict the subject’s path up to three seconds in the future. When tracking a target, the Mavic 2 can recognize and avoid obstacles while shooting your target without interruption. It can stay on target, even if your subject momentarily goes behind an obstacle, and can track the subject at higher speeds of up to 44 mph (72 km/h). The Mavic 2 delivers autonomous flight capabilities that help you capture shots with even more confidence in complex environments. A fully upgraded FlightAutonomy system transmits data to a more powerful central processor for more accurate obstacle sensing and safer flight. For the first time ever in a DJI drone, Mavic 2 has 10 sensors on all sides of the aircraft to automatically detect obstacles in its path and help prevent collisions, allowing you to focus on capturing the perfect shot. An improved Advanced Pilot Assistance System (APAS) allows the aircraft to analyze its surrounding environment and automatically fly around obstacles without stopping. In addition, the Mavic 2 has a Bottom Auxiliary Light that turns on automatically to ensure safe and precise landings in low-light situations. 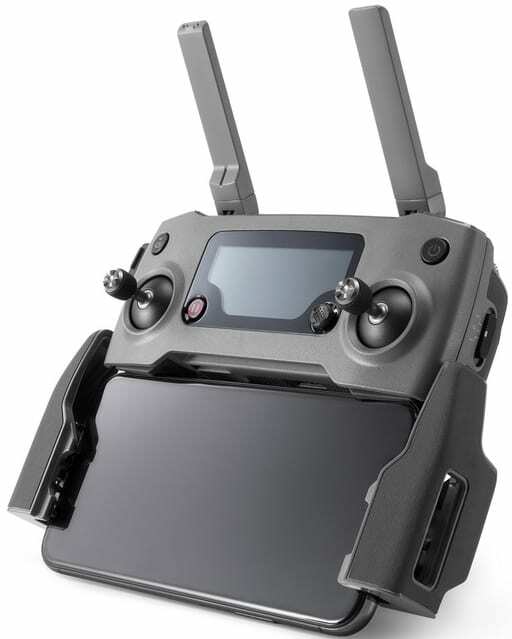 A newly designed OcuSync 2.0 video transmission system enables a more stable connection between the drone and its remote controller. 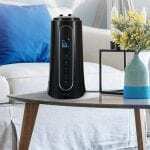 The system features stronger interference resistance and auto-switching capabilities that supports both 2.4 GHz and 5.8 GHz frequency bands with the capability to use different frequencies for uplink and downlink data streams. It delivers 1080p video transmission feeds at a distance of up to 8km, allowing you to instantly edit and upload Full HD footage directly from the video cache in the DJI app in a wider variety of situations. Original resolution photos in JPEG can be saved directly to your mobile device, so you can immediately share what you create without the need to transfer files from the drone. The Mavic 2 ‘s redesigned, more aerodynamic airframe reduces body drag by up to 19% compared to the Mavic Pro, allowing the Mavic 2 to fly at speeds of up to 44 mph (72 km/h) in Sport mode. 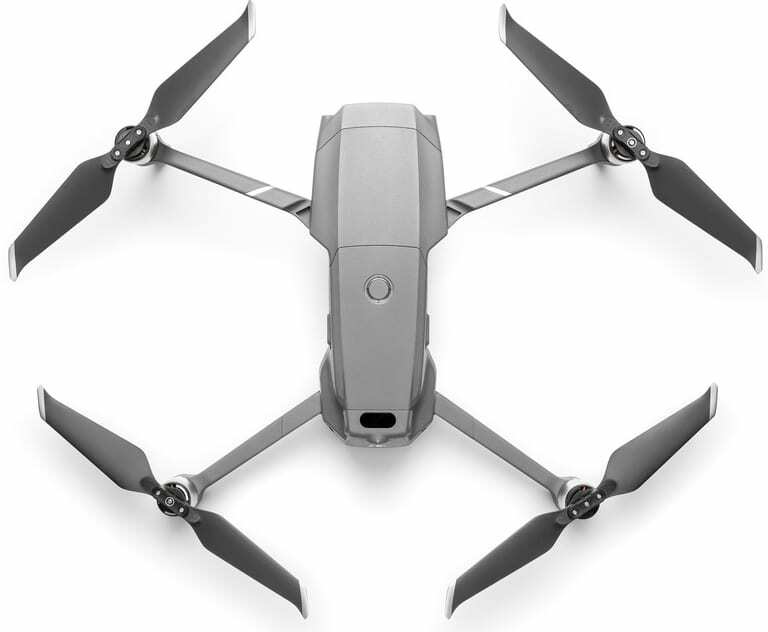 Combined with a more efficient, quieter propulsion system and noise-reducing propellers, the Mavic 2 has a maximum flight time of up to 31 minutes. To ensure crisp photos and smooth, shake-free footage, the Mavic 2 houses an ultra-precise three-axis mechanical gimbal to stabilize its camera even during high-speed motion. Photos and videos can be saved directly to the drone using its 8 GB onboard storage. All DJI users have control over how their data is stored and managed, as part of DJI’s commitment to protecting its customers’ data. A redesigned remote controller features detachable control sticks for ease of storage and portability. The Mavic 2 is compatible with DJI Goggles with the gimbal (yaw) control range up to -75°–– +75° in Head Tracking mode, offering users a more immersive FPV flight experience. 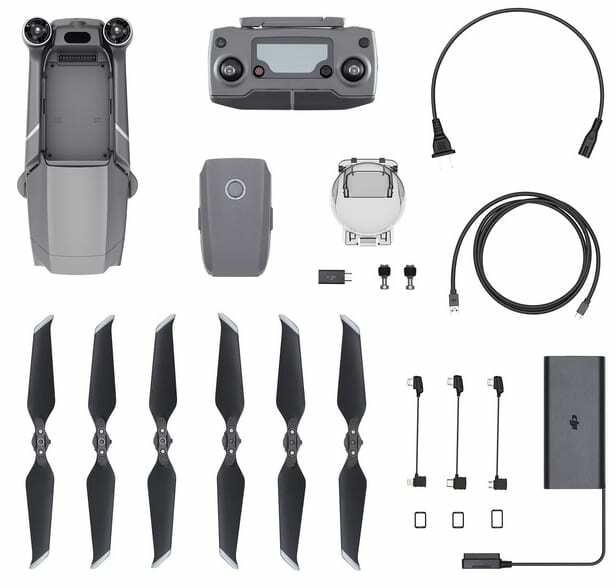 The US retail price of a Mavic 2 Pro, including the drone, battery, remote controller, charger, and four pairs of propellers, is $1,449 USD.